The Cubs season may be off to a rocky start, but fans of the team celebrated this year’s home opener in classic style. 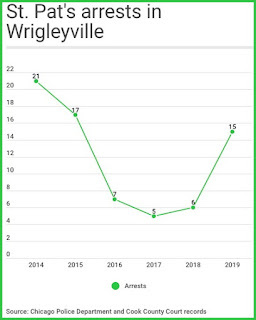 CWBChicago estimates that six arrests were made in connection with the game. 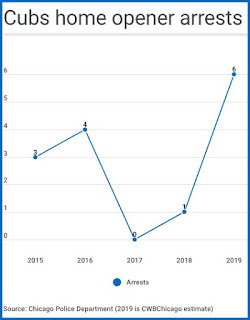 That’s the most arrests at a Cubs home opener since we began maintaining stats in 2015. 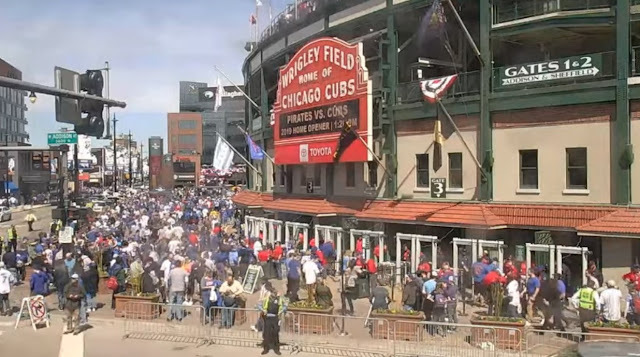 In true Cubs style, the first home game arrest was made five minutes before the first pitch was thrown—for trespassing. About an hour later, a man wearing a “Cubs outfit” was arrested for assaulting a resident in the 3800 block of North Racine. 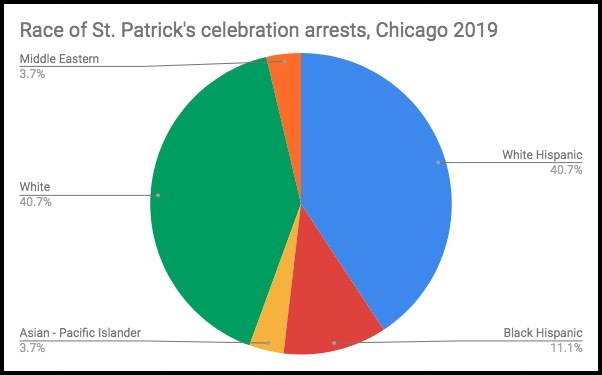 Monday’s record-setting arrest tally followed a spike in St. Patrick’s weekend arrests in the city. 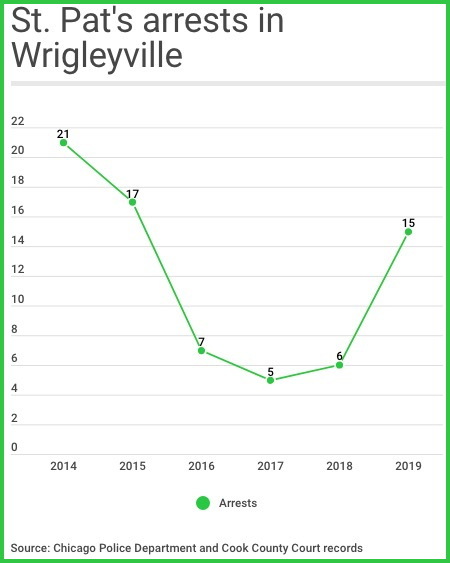 Fifteen adults were arrested during this year’s Irish party in Wrigleyville, the most since 2015. Downtown, twelve adults were arrested during the St. Pat’s party, up from seven last year. Don’t worry. 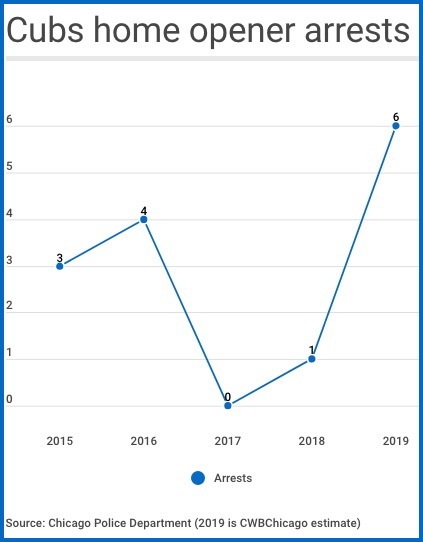 If history is any indication, white partiers will more than compensate for their underperformance by leading the arrest tally on Cinco de Mayo.